Fetal ascites is commonly considered as a part or precursor of fetal hydrops, which has various etiologies. Fetal ascites can also occur as an isolated disease without fluid accumulation in any other serosal cavities or subcutaneous tissues. ,, Overall prognosis is poor, but better with those with late gestational onset. Here, antenatal fetal sonography in mid third trimester detected isolated fetal ascites and was followed-up postnatally. The neonate at birth was diagnosed to have chylous ascites, which was managed successfully medically. This article highlights the importance of antenatal diagnosis, workup, follow-up postnatally and its appropriate treatment leading to recovery. 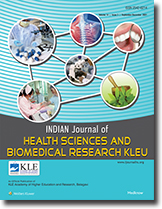 We report here such a case which was managed successfully and also review the literature. A second gravida with one living child, at 30 weeks of gestation underwent routine sonography, which revealed isolated fetal ascites. Detailed ultrasound of fetal abdomen showed gross ascites, normal placenta and no other obvious pathology. Echocardiography of the fetus was normal. Complete blood count, normal titers for toxoplasmosis, rubella, cytomegalovirus, and herpes (TORCH), blood group, Rh typing, Venereal Disease Research Lab (VDRL), serum albumin and a Kleihauer-Betke stain of a peripheral blood smear of the mother were done and found to be normal. Subsequently sonography done every week showed persistent findings, with no evidence of subcutaneous edema, placentomegaly or fluid collections in pleural or pericardial cavities. A male neonate was born at term weighing 3.2 kg with good APGAR scores and had abdominal distension at birth. Per abdominal examination revealed distension with free fluid in abdomen [Figure 1]. Hemoglobin was 17.2 g%, total leucocyte count was 12,800 cells/cmm, platelet count was 3.2 lakhs/cmm and normal renal function tests and liver function tests subsequently. Plain X-ray abdomen showed free fluid in the abdomen with centrally located bowel loops [Figure 2]. Paracentesis revealed clear straw colored fluid, proteins of 3.2 g%, 90 cells/high power field; 90% lymphocytes, normal (pH, glucose, lactate dehydrogenase, amylase, bilirubin, creatinine) culture negative and elevated triglycerides (200 mg%) establishing the diagnosis of chylous ascites. The neonate was initially kept nil orally, started on parenteral nutrition and later started with enteral feeds with low fat diet consisting of medium-chain-triglycerides. The neonate also received intravenous octreotide (3 μgm/kg/h) infusion for 5 days followed by subcutaneously thrice daily for 2 weeks. The ascites progressively resolved over 4 weeks. The infant was doing well with full oral feeds and good weight gain at follow-up at 6 months of age. In summary isolated fetal ascites is a separate entity from hydrops fetalis and has a better prognosis compared with that of hydrops fetalis. Isolated fetal ascites with late gestational onset and negative infection screen carries an excellent prognosis with spontaneous resolution in most of these cases. However a extensive evaluation to determine the etiology is important for appropriate treatment, which will provide for successful outcome of the condition. 1. Machin GA. Hydrops revisited: Literature review of 1,414 cases published in the 1980s. Am J Med Genet 1989;34:366-90. 2. Nose S, Usui N, Soh H, Kamiyama M, Tani G, Kanagawa T, et al. The prognostic factors and the outcome of primary isolated fetal ascites. Pediatr Surg Int 2011;27:799-804. 3. Abdellatif M, Alsinani S, Al-Balushi Z, Al-Dughaishi T, Abuanza M, Al-Riyami N. Spontaneous resolution of fetal and neonatal ascites after birth. Sultan Qaboos Univ Med J 2013;13:175-8. 4. El Bishry G. The outcome of isolated fetal ascites. Eur J Obstet Gynecol Reprod Biol 2008;137:43-6. 5. Arikana I, Baruta A, Harmaa M, Harmaa MI, Doganb S. Isolated foetal ascites: A case report. J Med Cases 2012;3:110-2. 6. Zelop C, Benacerraf BR. The causes and natural history of fetal ascites. Prenat Diagn 1994;14:941-6. 7. Seeds JW, Herbert WN, Bowes WA Jr, Cefalo RC. Recurrent idiopathic fetal hydrops: results of prenatal therapy. Obstet Gynecol 1984;64:30S-3. 8. Favre R, Dreux S, Dommergues M, Dumez Y, Luton D, Oury JF, et al. 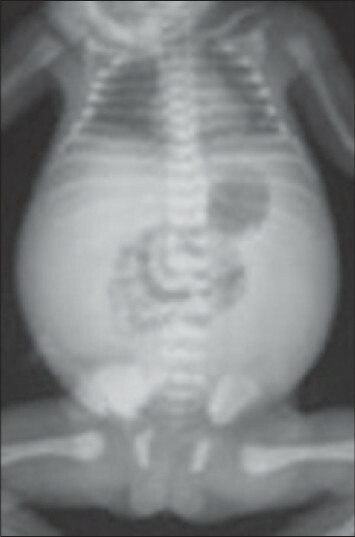 Nonimmune fetal ascites: A series of 79 cases. Am J Obstet Gynecol 2004;190:407-12.